In an effort to further the collaborative connection between adidas and the LA-based purveyor of fine streetwear fashion Bristol Studio, the two partners are teaming up once again for two more iterations of the Crazy BYW, the original and the BYW II. Dubbed the “SharpShooters” collection, these two offerings come inspired by Kobe Bryant’s initial sneaker run with the Three Stripes and the strong legacy the German Sportswear brand has in the game of basketball. 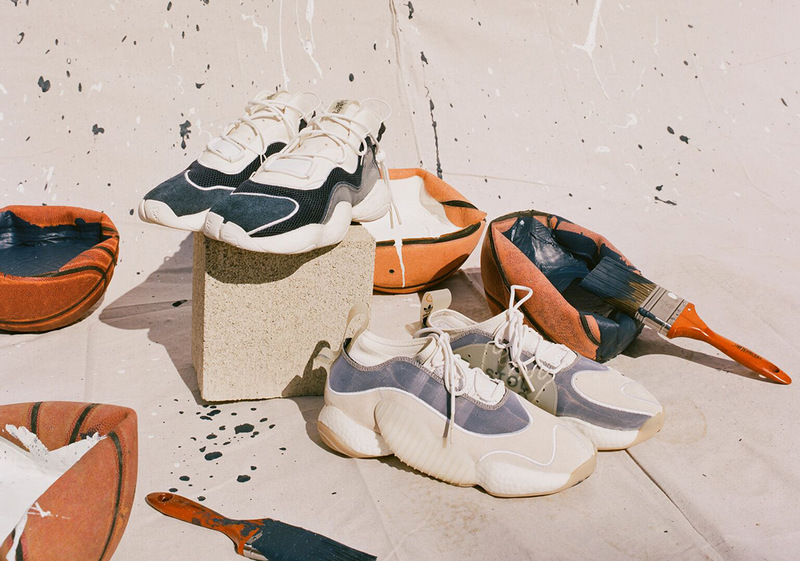 Calling upon hoops-ready silhouettes as the anchor of this collection, Bristol Studios has altered their purpose, engineering them for everyday, lifestyle use with the implementation of premium nubuck, ‘hairy’ leathers, and technically-advanced knitted textiles. “Growing up in the early 2000s, I was inspired by oversized silhouettes of the day and anything Kobe Bryant did (on or off-the-court). These early loves now manifest in the form of a full basketball kit,” Bristol Studio Creative Director, Luke Tadashi added. Accompanying these two nostalgic footwear creations is a full set of matching apparel meant to evoke the same feeling of the forgone late 90s and early 00s era, including tearaway pants, a warm up jacket, a basketball jersey, and a matching tee dressed in neutral shades. Sneak a peak at the entire Bristol Studios x adidas Crazy BYW “SharpShooters” collection below and anticipate its arrival at global retailers on November 17th.